Dream better at the Sleep Inn hotel in Flagstaff, AZ. 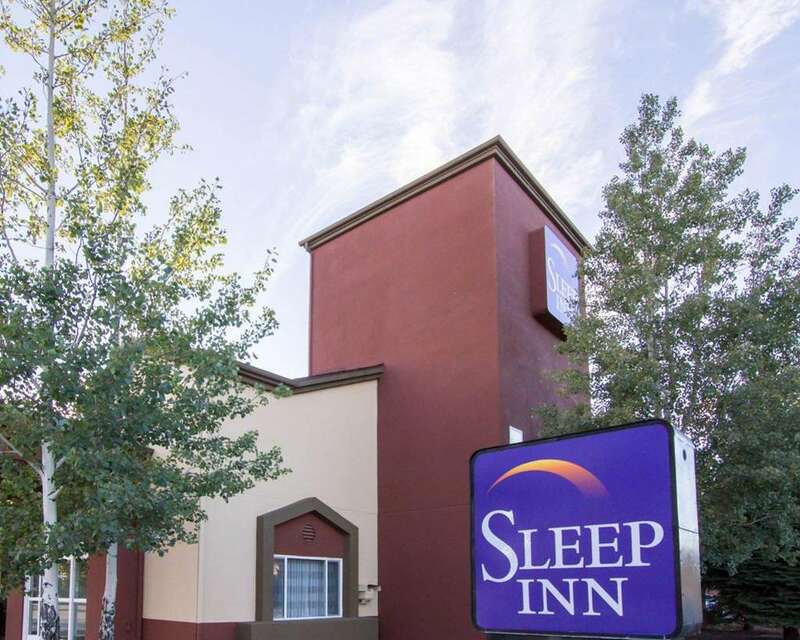 This smoke-free hotel is near Northern Arizona University and Historic Downtown. We are also near Lowell Observatory, Walnut Canyon National Monument, Arizona Snowbowl Ski Resort, Historical Downtown Flagstaff and Arboretum of Flagstaff. Enjoy free hot breakfast, free WiFi, free weekday newspaper, an indoor heated pool and more. Fresh design elements will help you relax while you enjoy amenities like a refrigerator, microwave, desk, coffee maker, hair dryer, iron and ironing board. Also, earn rewards including free nights and gift cards with our Choice Privileges Rewards program. No pets allowed.